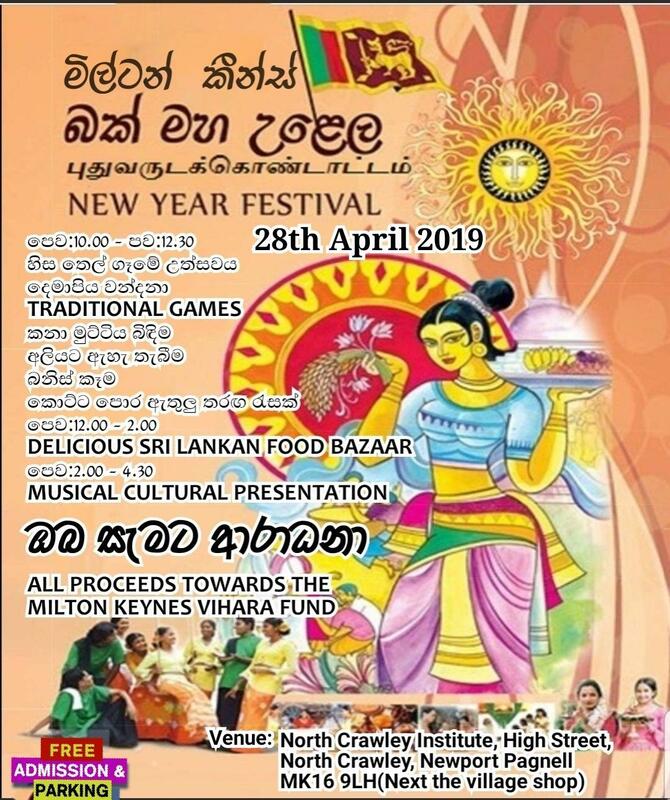 Auspicious Times (According to British Summer Time); Special Blessings Celebration with traditional customs and food at Letchworth Dhamma Nikethanaya Buddhist Cultural Centre and Milton Keynes Vihara on Saturday 14th, 15th, 17th & 28th April. All are welcome! 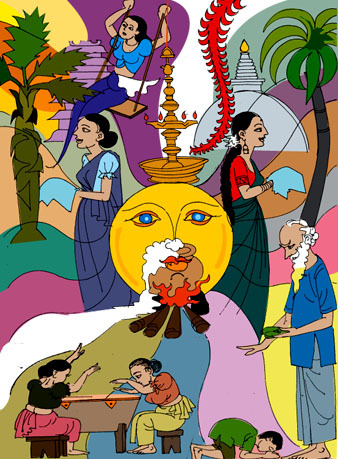 Sri Lankan New Year 2019 to all! 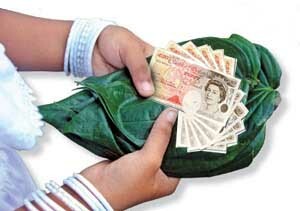 Sacred period (punya kalaya) for Sri Lankan New Year 2019 starts in London on Sunday 14th April at 03:15AM. 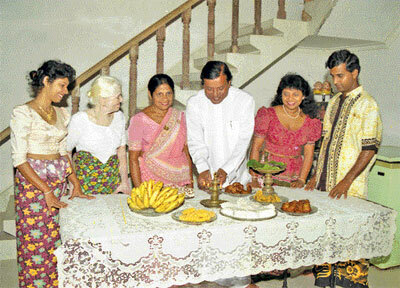 According to the tradition, you must stop work and finish taking meals before the "punya kalaya (secred period)" begins. Cookers are to be put out and the regular activities are to be terminated before this time (Sunday 14th April at 03:15AM). 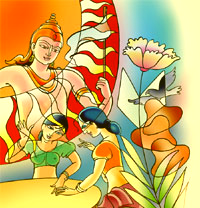 Sacred period (punya kalaya) is allocated for two different and very important reasons. First part of Sacred period (punya kalaya) (e.g soon after the dawn of New Year first Six and half hours) is allocated to perform religious and spiritual activities. 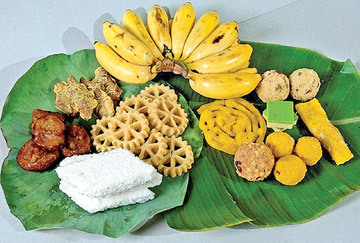 Second part of the Sacred period (punya kalaya) (last six and half hours) is allocated for the traditional customary activities mentioned below such as preparing meals, taking food, transactions and starting work. Lighting the cookers for New Year is at 09:57AM on Sunday 14th April. Auspicious direction is East and Auspicious cloth is red and yellow colour. 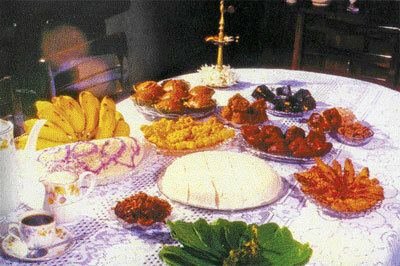 Prepare a "Kiri Bath" from rice mixed with ghee and jaggery (sharkara) and sesame seeds (tala). Taking food for the new year is on Sunday 14th April at 11:29AM. Auspicious direction is East and auspicious cloth is red and yellow colours. Followed by that custom, it is customary to do transactions and start work ambitiously and auspiciously with firm resolutions for a prosperous and healthy new year. The Auspicious time for Hisa Tel Geema (Anointing Sacred Oil) is on Monday 15th at Milton Keynes and Wednesday 17th at Letchworth. Auspicious direction is East and Auspicious cloth is white colour. 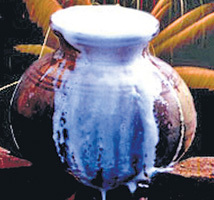 It should be performed with imbul leaves for the head and nuga leaves for the feet. You are kindly invited to the special New Year Blessings ceremony at Letchworth Dhamma Nikethanaya Buddhist Cultural Centre & Milton Keynes Buddhist Vihara on above mentioned times and dates. It is customary to make an ambitious setting out for work for the New Year. Auspicious time is for setting out to work is on Thursday 18th April at 06:07AM. Auspicious direction is East and Auspicious cloth is yellow or gold colour. NOTE: It may be slightly inconvenient to follow auspicious times given for "preparing Meals", Taking Meals", Transactions and "Starting Work due to geographical or personal circumstances. 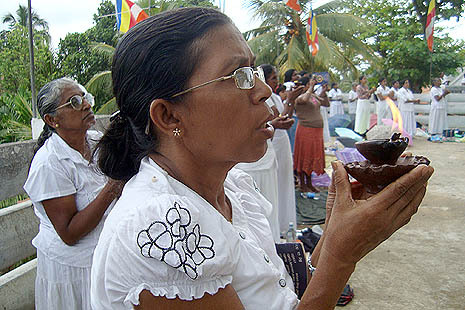 It is important to note that other than the Astrological importances of such principles, it is incredibly important to take serious considerations of unique cultural significances to celebrate Sri Lankan Sinhala & Hindu New Year customs based on unity (doing at one time) and cohesion (family and social togetherness). 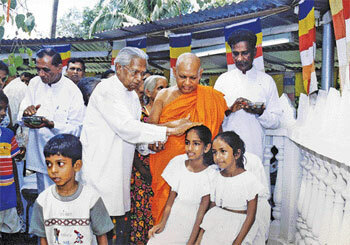 So let us take firm determination to be in solidarity, at least within the 2nd half of "punyakala" (sacred period) irrespective of where we live in Sri Lanka or London or any other part of the world.